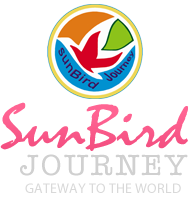 A prominent Tour Operator in Kolkata, West Bengal, we are SunBird Journey. Known to offer efficient Airline Ticketing Services, Cruise Services, Car & Coach Rental Services, Tourist Guide Services, Hotel Booking Services, Passport & Visa Services, Travel Insurance Services, Domestic Tours, and International Tours, we make sure that your journey is smooth and convenient. Our entire service range is absolutely reasonably priced, so you can sit back and let us take over, without worrying about a thing. We are also capable of offering tailor made services, according to your dates and budget. Give us a call, today!